Getting kids to take a bath willingly is one of the toughest things that a parent has to do. If they don't feel like taking a bath, then they'll let you know it: they'll hide, beg or plead, or even throw tantrums, just to escape the unescapeable. I think it's during times like these that parents can "cheat" a little and bring out their own arsenal of weapons, like these fun, animal-themed shower caps. These shower caps are bright, colorful, and fun. 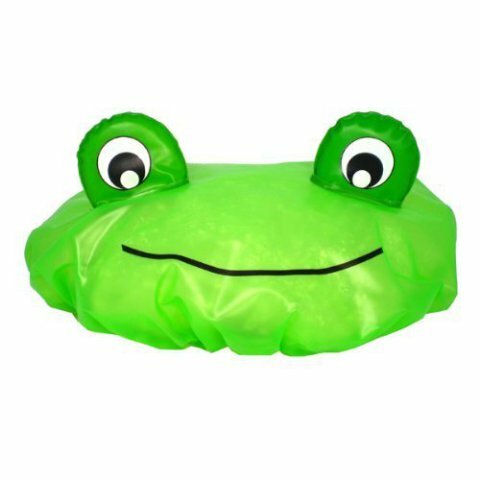 They'll also fit snugly over your kids heads (and yours, too) to keep your hair dry when you're taking that nighttime shower. These shower caps aren't just for baths either; you can also use them when you're getting some hair treatments done, although you won't look like the hottest momma on the block while you're at it. But it's something your kids will love, and something you'll grow to love as well. If the googly eyes on these animal shower caps won't melt your heart and your kid's resolve, then I don't know what will. 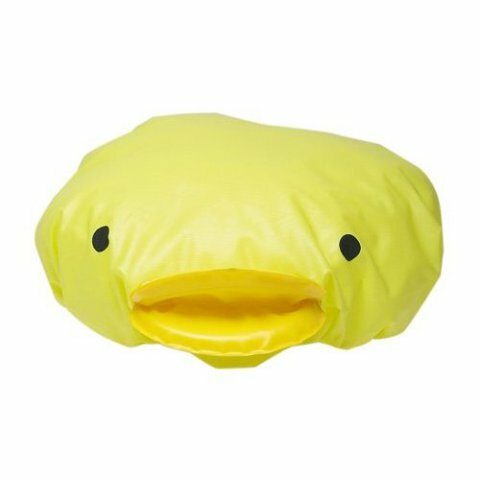 The frog version of the shower cap is available for $7.99, while the duck version retails for $ 5.99. Both are available from Amazon. What do you (and your kids) think: yay or nay?